I have hemmed the skirt from floor-length to ankle-length to make it more like the fashion plates of the day. Plus, it will be easier to walk and dance in! 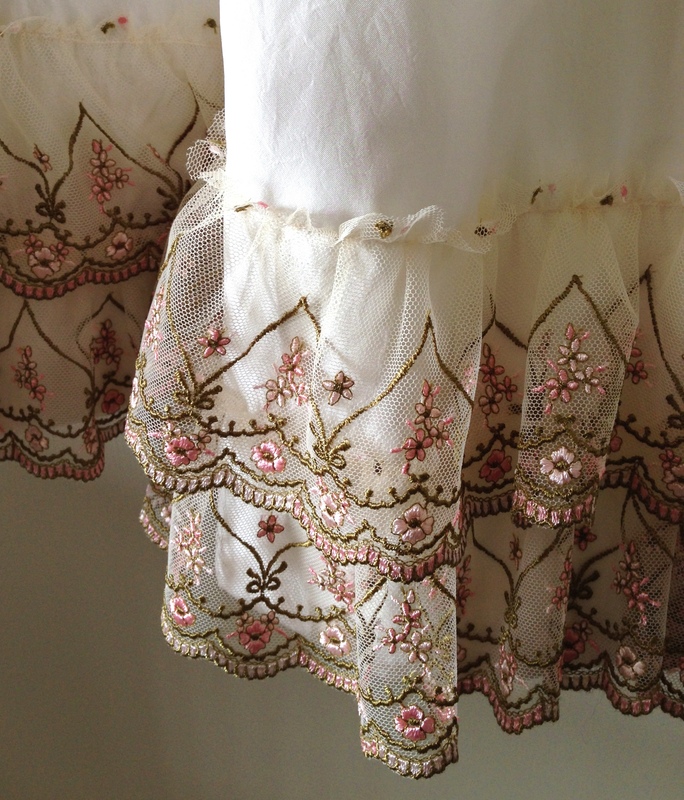 I also ruffled 2 rows of the embroidered tulle lace and sewed it around the bottom, using 12 out of the 20 yards I purchased. Here is a sneak peek at the hem. I tried on my overbust corset, and although it fits just fine, the pressure on my chest is rather uncomfortable since I’m still nursing. Currently I’m trying to decide between wearing an underbust corset as a foundation, or just making the dress to be worn sans corset to be extra comfortable. However, I am sure that the waistline of the bodice needs to be raised considerably. The TV455 pattern is very long-waisted, even if you did not want the high-waisted look of the late 1820s or early 1830s. 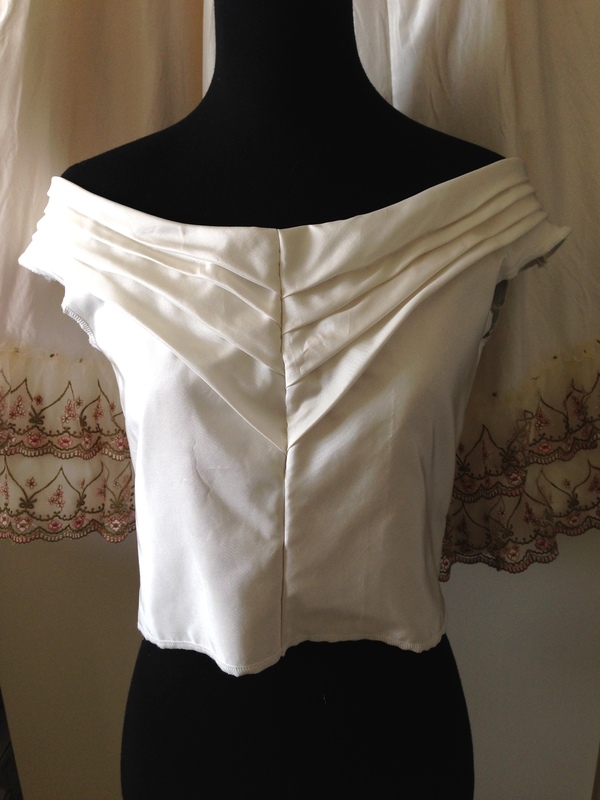 This is a picture of the bodice in progress, after I already cut off several inches of fabric all along the bottom. I still need to shorten it more. The bodice looks rather baggy because it is still missing darts, and is also larger than my dress form. I am using hook-and-eye tape for the back closure, reinforced by some plastic boning.